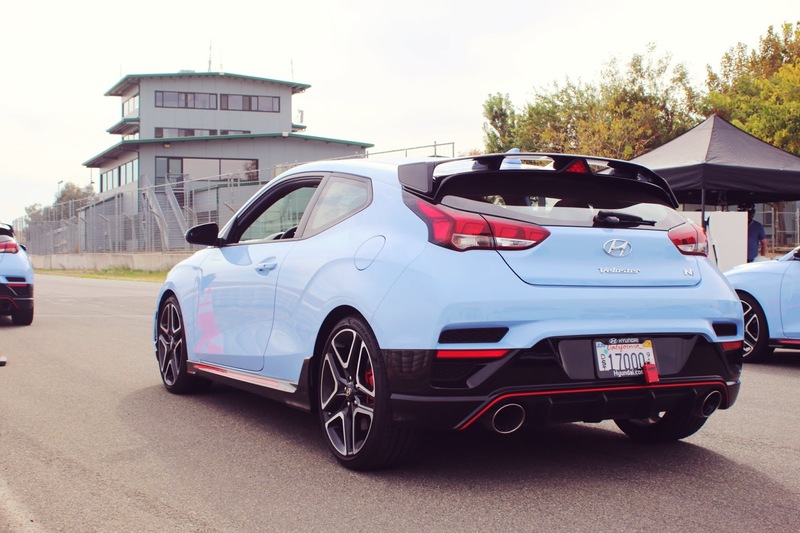 A few months ago I was invited by Hyundai to test out the new Veloster N Performance at Thunderhill Raceway, just outside of Sacramento California (you can read that story here). While I found the Veloster to be a very capable track car, fast, easy to drive, and loads of fun, we only had a short amount of time to drive it around the country roads around the race track. So I really had no idea what it was like to drive the Veloster N in normal daily driving conditions. After posting my video and story from the track day, I got so many questions wanting to know more about the Veloster N, in fact, I got more messages about the Hyundai Veloster N than I did about the Mclaren 720S Spider. So I reached out to Hyundai and asked to borrow a Veloster N Performance for a week of real-world testing so I could answer the questions fielded by our readers via Instagram, Reddit, and Facebook. 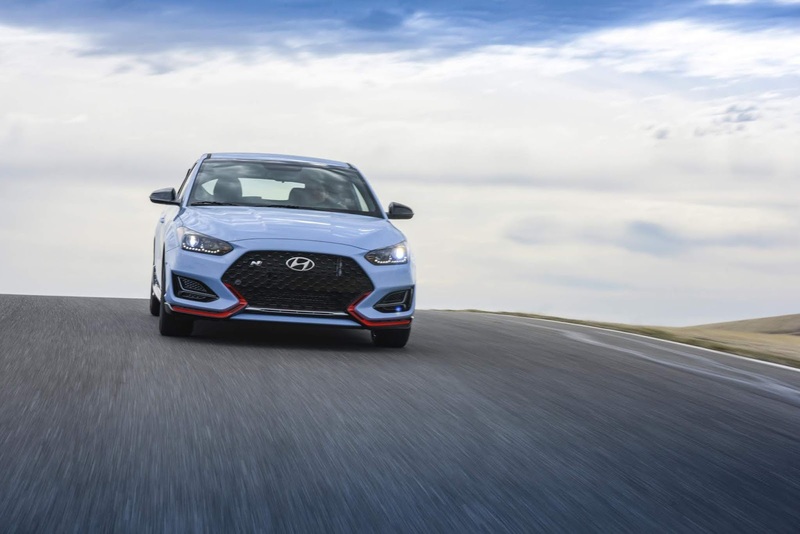 So I spent a week driving the Veloster as my only car, going to the store, heading out to shoots at the race track, hauling people, and all the things you do with a daily driver, so I could answer the questions you, the readers, had about the Veloster. Check out my video from the week here. 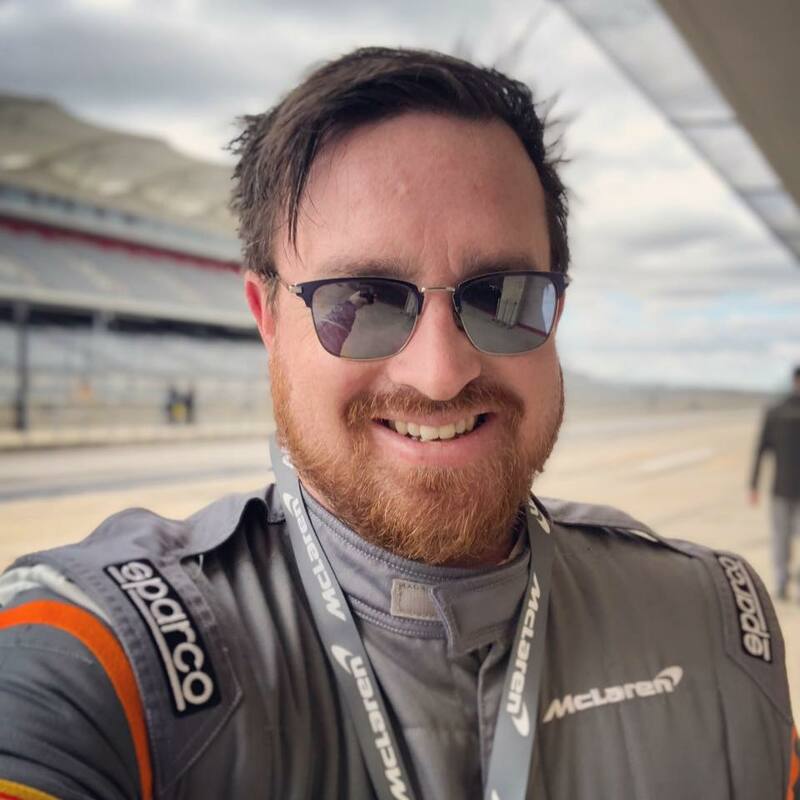 "Is it fun to drive legally on the street on a daily basis, or is it only lively and fun at track speeds and conditions?" Yes, 100% the Hyundai Veloster N Performance is fun to drive, in the street settings the ride is great, the car still handles well and still has a sporty demeanor. But at the push of a button, you are in "N Mode" and the car is a loud, stiff, track animal that reminds me of so many of the hot hatchbacks I built in the early 2000s, but instead of always having a loud exhaust droning on the freeway, you can put the Veloster in Eco-Mode and it becomes quite and comfortable like any good daily driver should be. "How does it compare to a Toyota 86, Miata RF, Golf GTI, and which one would you buy if it was going to be your only car?" Those are all great cars and I have driven them all, from that list, for my only car it would be the Veloster. 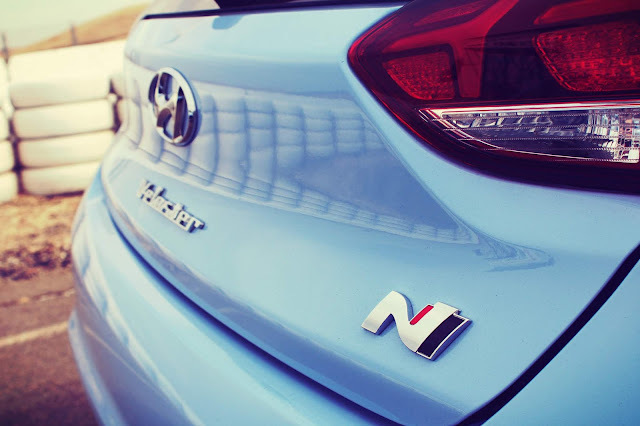 Not because this is a Veloster story, but because if I was going to have to live with one car the N Performance makes the most sense to me when it comes to performance, space, price, features, etc... It was a close call between the GTI and the N, but the funky nature of the N and the warranty make it the clear winner. The Toyota I feel needs too much aftermarket support to be really fun and the RF is one of my favorite new cars on the market but the trunk is so small that it would be hard to live with as an only car. "Do you wish it had more options like a panoramic roof or leather?" 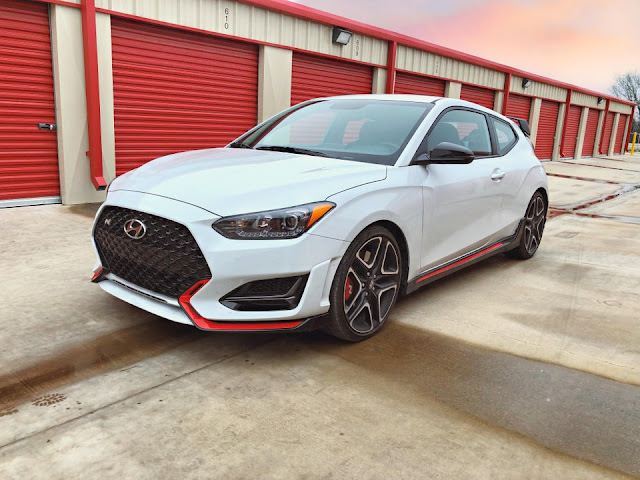 I think Hyundai did a great job at keeping the Veloster N focused on performance and offering other models to fill the more luxury segment with the Veloster Turbo Ultimate being offered with all the bells and whistles. I drove the Turbo R-Spec and the Turbo Ultimate and while they are both very good cars and lots of fun, the performance-focused N is in a class all its own. What's the real world MPG after a week of driving? I averaged 26 MPG with a lot of spirited driving, however, almost all my freeway driving was done in eco-mode which made the long drives much more bearable. 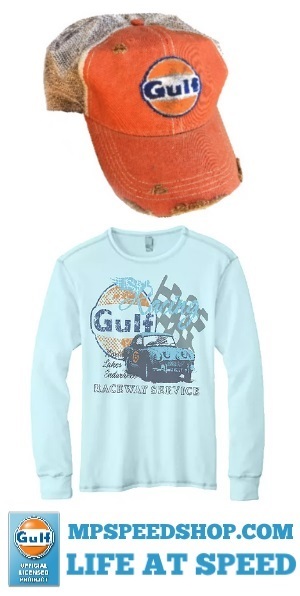 My favorite thing is a personal bit of nostalgia, growing up in the late 1990s-early 2000s it was the era of the hot hatch, Sport Compact Car Magazine, Superstreet, Nopi Nationals, and the first Fast & the Furious movies. Tuning and build small hatchbacks was what we were all doing, my friends and I were all building small hatchbacks with lots of tuner parts and driving the Veloster N really brought back a lot of those memories, but unlike my Apex Exhaust on my old tuner car, I can turn the Veloster from tuner car to street car at the push of a button. 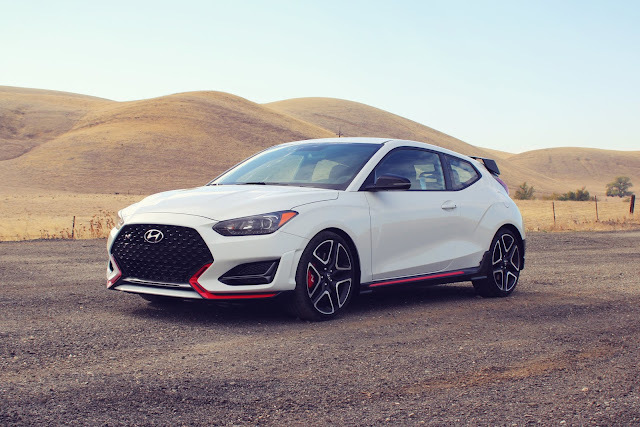 As far as least favorite, the only issue I really had with the car was the lack of visibility from the rear, which is something the Veloster has always been known for and I would like to see perhaps a Performance Stage II kit or package that takes the Veloster up one more notch. Hyundai has said they are working on offering performance parts through the dealer network but we haven't see what that is going to include yet. 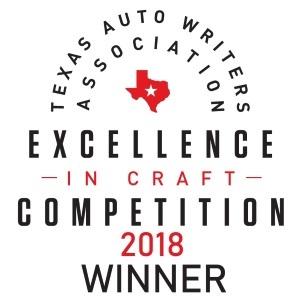 In conclusion, the Veloster N Performance was great out at the track, excellent as a daily driver, and a good value that is backed up by one of the best warranties in the business. It is hard to find a downside to buying the Veloster N, other than the dealer markup that happens with all limited edition car. 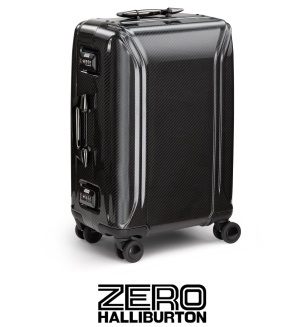 For more or to find a dealer near you check out Hyundaiusa.com.